Should We Read The Roy Grace Books In Order? 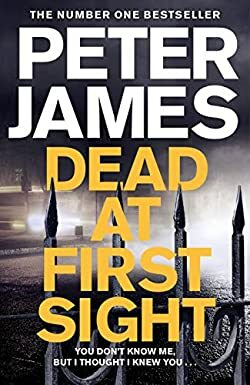 Reading the Peter James books in order is quite easy because apart from his standalone novels, the author has one main big series – Roy Grace – a crime thriller series which currently includes 15 released books, with the latest one, Dead At First Sight, published in 2019. He also recently started a new series about Cold Hill, with currently two books (one published end of 2019). In addition, his first ever two published novels were part of a spy thriller series titled Max Flynn, which strongly reminds readers of James Bond. I have put together the list of Peter James books in order of publication. I hope this list will help you too. If you do like thriller mysteries and want to pick up a new one for your reading pleasures, I can highly recommend the Roy Grace series by Peter James. I’ve been reading the series from the very first book, Dead Simple, and I can easily say that the Roy Grace series should be read in proper chronological and publication order. The cases Roy is working on might be distinct from book to book, but you get to learn Roy Grace and the other main characters by following the series in order, and you also get to see not only the character dynamics but also their development as the time passes. Please note that so far every Peter James book in the Roy Grace series is available to download from Amazon on the Kindle. I checked each link myself. 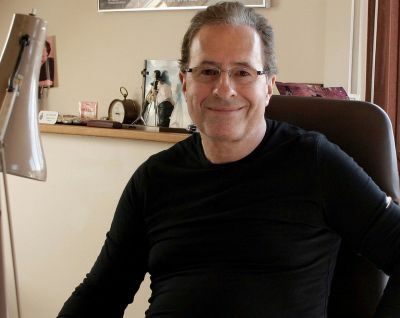 Peter James (website) is a British author born in Brighton in 1948, who has written to date more than 30 books, produced (or helped produce) 26 movies, including The Blockhouse with Peter Sellers, Spanish Fly and The Bridge of San Louis Rey with Robert de Niro. His mother was working as a glovemaker to the Queen, and his father helped run the family business, so they were never lacking financially. They also had a cook, a nanny, and a maid, so the early years of Peter James were quite privileged. In an interview, he mentioned that if he didn’t write to write books, he didn’t need to as he was never lacking money. Money definitely brought independence and financial freedom, although he loves writing books, so he will not stop any time soon. He first started writing at the age of seven as he wanted to become a writer or a scriptwriter. When he was 17, he won a national short-story competition that was hosted by the BBC. He realized he wanted to seriously become a writer at the age of 14 when he read Brighton Rock by Graeme Greene. This book was also one of the reasons why the Roy Grace series is set in Brighton. He first attended Charterhouse School, followed by Ravensbourne Film School, a London University with Undergraduate and Postgraduate courses in fashion, design, and broadcasting. While in school, to be able to have some money, for some time he was the house cleaner of the famous Orson Welles, the famous American actor. During that time he also worked as a tour guide driving American tourists around London. Later on, he moved to Canada in 1970 where he worked as a gopher and then a writer for the Polka Dot Door TV show. He also worked as a screenwriter and film producer for 26 films over the years, prior to him returning home to the UK. In his twenties, he wrote and published two spy thrillers, but they didn’t really sell. He began writing earnestly in the early 1980s, but he had his first major breakthrough with Possession in 1988, followed by Dreamer in 1989. At one time, some burglars broke into his home, and when the policeman arrived to investigate and take fingerprints, he noticed Peter’s books lying around. This is when he told him that if he needed help with research, he could always contact him. Peter James started to realize that there must be a lot of stories in the long life of a cop, and since then, crime mysteries began to interest him. This is when he turned to write crime fiction. Absolute Proof, his standalone novel from 2018 actually began many years ago, in 1989, when an older man, Harry Nixon, called in on the phone and told him that he has been given absolute proof of God’s existence, and Peter James was the person to bring this to light. Absolute Proof is now being developed into a mini TV series along with the adaptation of his 2011 book Perfect People. For his 30-years of research for Absolute Proof, he not only spoke with religious leaders about proof of God’s existence but he even went as far as living for five days as a monk at the Mount Athos monastery in Greece, where women are banned from entering the place. Peter James is also the founding father of electronic books. In 1994 his book Host was published not only the traditional way but also on two floppy disks. You can read more about what happened next in this Peter James interview. The author still lives in the UK dividing his time between his house in Brighton and his apartment in London (Notting Hill). Roy Grace series is excellent. Best to tead them in order though. I have just read You Are Dead and they did not get that sicko killer so i wonder if his next book will be a continuation or is it just a bad ending with the bad guy getting away.Anyway love the Roy Grace series very good. I havejust read You Are Dead and they did not get that sicko killer so i wonder if his next book will be a continuation or is it just a bad ending with the bad guy getting away.Anyway love the Roy Grace series very good. Peter James’s books are the best. The Grace Series are fantastic. Very easy to fall in love with Roy, Cloe and Glenn. You will be hooked. I have just finished ,& thoroughly enjoyed YOU ARE DEAD. I can’t wait for the next book in the Roy Grace series any idea when it going to be published?